An alternative short trek, which also avoids spending 2 whole days on the road, is to do simply the Gosainkund – Helambu section of the route, as outlined below (where obviously Day 10 is actually your first day ! Cross the Laurebina La (4600 metres). (A steady, rather than steep, ascent, then stroll through wonderfully bleak landscapes to reach the final summit of the pass.) Steep descent to Ghopte There are now perfectly adequate lodges at Phedi and at Ghopte – used one of the Phedi ones in 2011 and it was fine. Day 2: Trek from Chisopani to Kutumsang (2446m.) we reckon this takes about 07 hours. Day 3: Trek from Kutumsang to Magen Goth (3514m.) this takes about 03 hours. 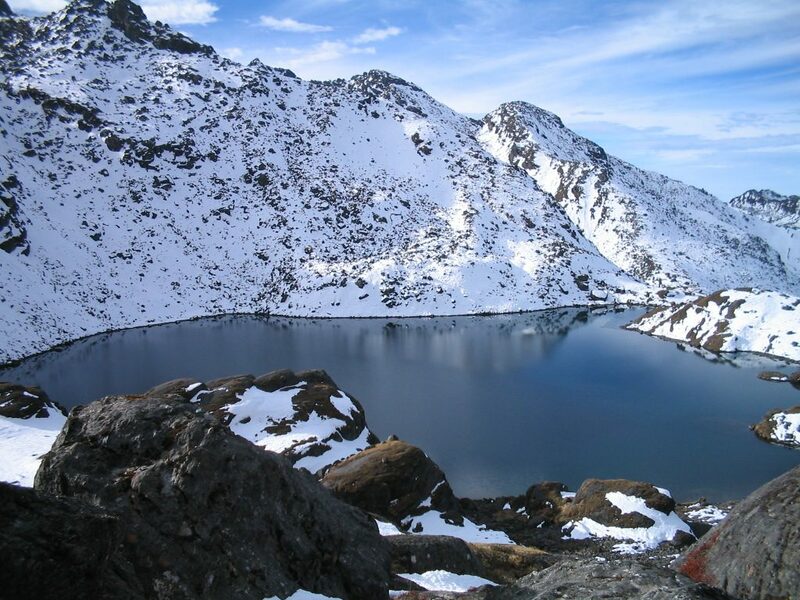 Day 4: Trek from Magen Goth to Melamchi Gaon (2640m) via Tharepati Pass (3650m.) this is going to take about 06 hours. Day 5: Trek from Melamchi Gaon to Tarkeghyang (2743m.) this takes approx 06 hours. Day 6: Trek from Tarkeghyang to Shermathang (2621m.) this takes about 04 hours. Day 7: Trek from Shermathang to Melamchi Pul Bazaar (846m.) this takes approximately 05 hours. Day 8: Drive from Melamchi Pul Bazaar to Kathmandu which takes about 4-5 hours.